Invisalign is a popular orthodontic measure to straighten and correct crooked or gapped teeth. 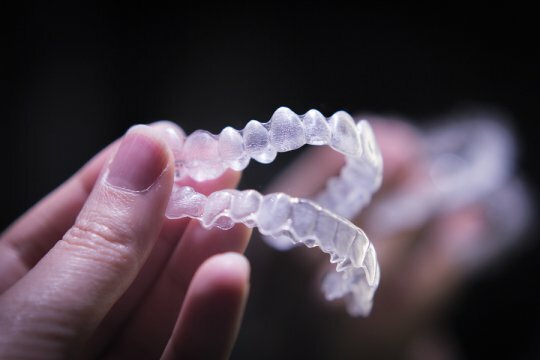 This ingenious system utilizes clear, plastic aligners over the course of a year to change patients’ smiles for the better. Continue reading to learn more about how Invisalign changes lives. Once the dentist decides a patient qualifies for Invisalign, then various dental X-rays, scans, and impressions will be made of the patient’s mouth and teeth. This information will help the dentist create a customized plan that addresses the patient’s specific orthodontic need. Several different sets of plastic aligners will be made for the patient. The patient will wear each aligner for a couple weeks and, as per the dentist’s instructions, will change to the next mouthpiece. This process will continue for about a year, and the teeth will slowly shift until they are in the correct positions. Receive life-changing treatments with the orthodontists of Glenwood Premier Dental. We carry the latest dental technology to offer our patients the most comprehensive treatments available. Please call us at (732) 264-4477 to set up a dental exam and learn more about Invisalign treatment near Hazlet .